We work closely with your company to understand your business, your products and your goals.  We set objectives and formulate a marketing strategy tailored to your business needs. We work closely with you and your team to steadily expand your company's influence and growth in your desired geographical market utilizing a balanced approach between digital marketing and traditional marketing channels. ​Many of our customers look to market their products in Europe, USA, Africa and Middle East. It takes more than a product launch to grow your sales. We work with you on your go-to-market strategy, from defining target audiences, product positioning and key messages all the way to establishing a marketing plan to boost awareness and sales. We establish your business objectives and formulate PR and media outreach plan to get your company noticed and provide maximum exposure to your brand. ​Complete the form to contact us.